Sundance The Steakhouse is an upscale, legendary steakhouse, family owned and operated for over 35 years, is a Palo Alto institution. The restaurant is famous for its Slow Roasted Prime Rib along with the expertly grilled USDA Prime Steaks, Fresh Seafood & Succulent Lobster. 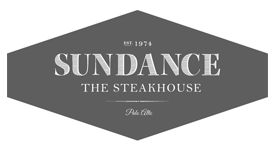 Learn more about Sundance The Steakhouse by clicking here.